Daily Hues Nail Lacquer is inviting us into her world for her next collection. A Washington state based company, she used to live in Seattle, and decided to draw inspiration from the city. She ended up getting so much inspiration for her Summer in Seattle Collection that she split it into two parts. Part 1 is Places to See. It will be released tomorrow, and I have swatches and my review for you all today. Part 2 is Things to Do, and those will be released at a later date. 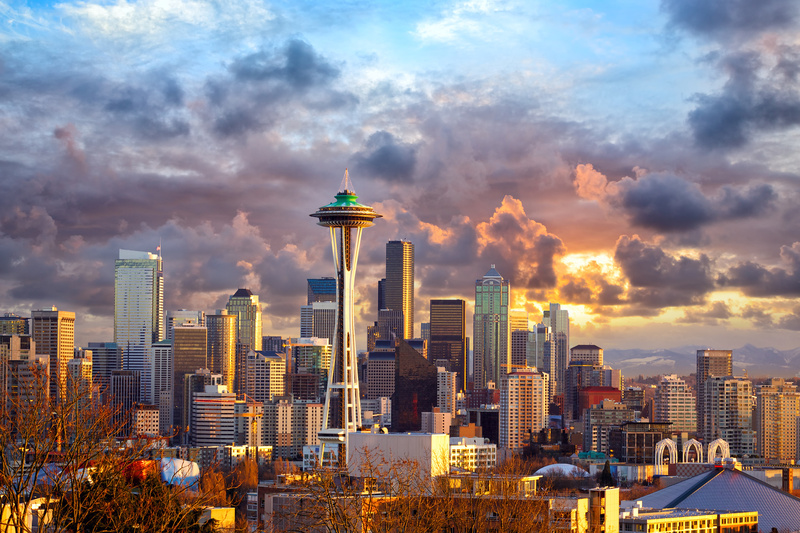 For now, let's jump into Summer in Seattle Part 1: Places to See. In case you didn't know, LE Polish has a special Birthday Club Series in her Facebook fan group. These aren't group customs, but you have to be a member of the group so your name can be on the list for the sign that goes with your birthday. 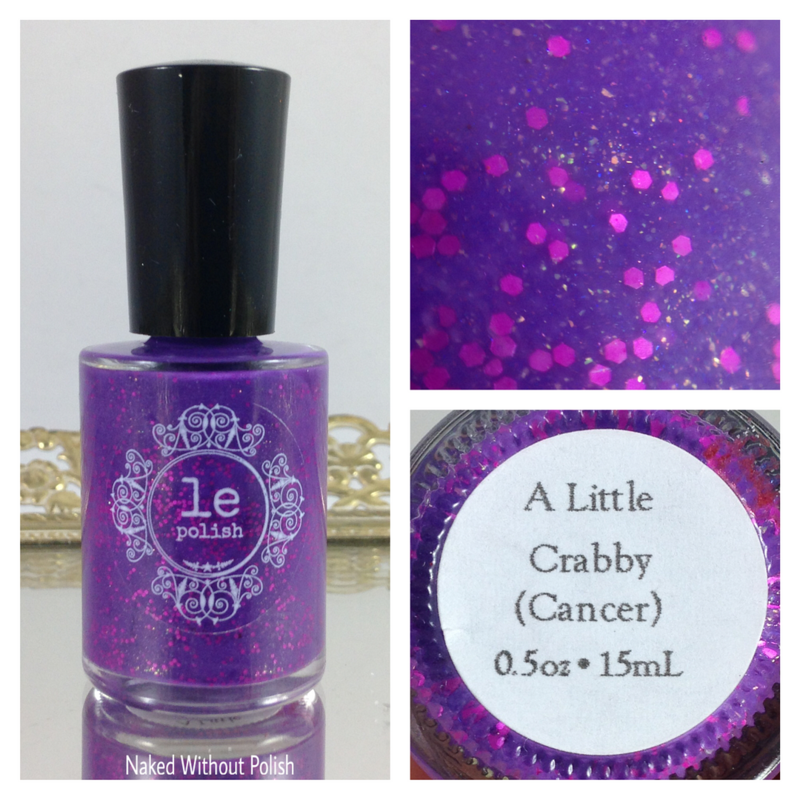 I'm a Sagittarius, so I have to wait a little while for mine, but I get to show you all the Cancer polish today. 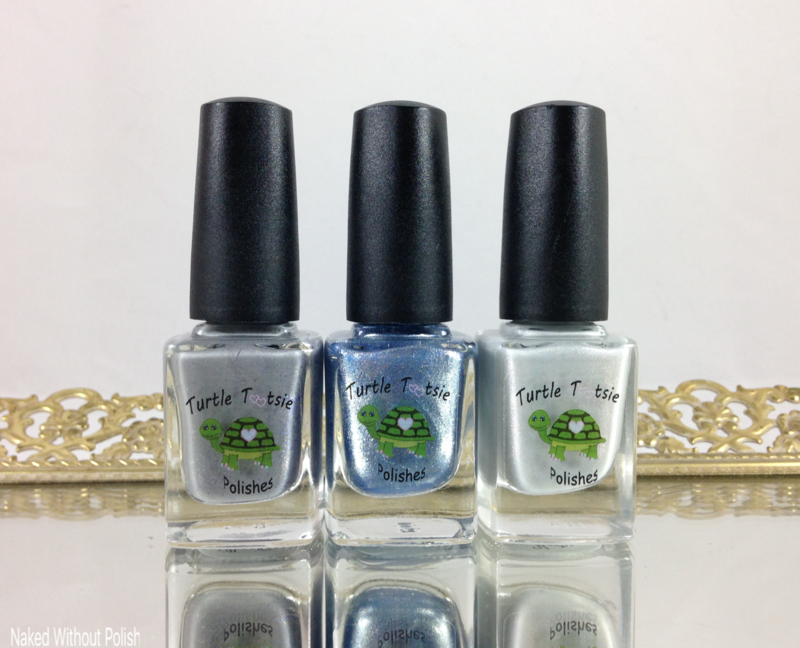 A Little Crabby is the second polish in the Birthday Club Series. 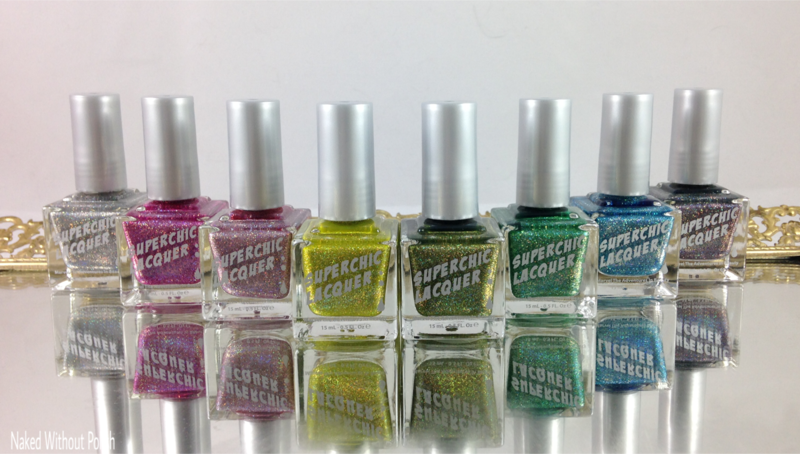 New SuperChic Lacquer polishes alert!! Jennifer, the crazy lady behind SuperChic Lacquer, always makes wonderful polishes, usually with a unique twist. But her newest collection, the Project Runway Collection, has all the sparkles! The Project Runway Collection is a set of eight polishes, each has a name relevant to Project Runway. I love love love Project Runway, but sadly we haven't had cable for over a year so I haven't been able to watch the last two seasons. Don't even get me started on missing the all star seasons. 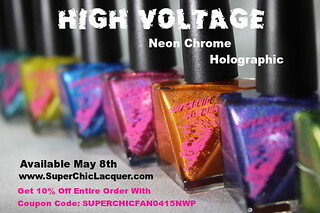 So, getting this beautiful collection from SuperChic Lacquer helped ease the pain of not getting to see the show anymore. You guys ready to see this beautiful collection? 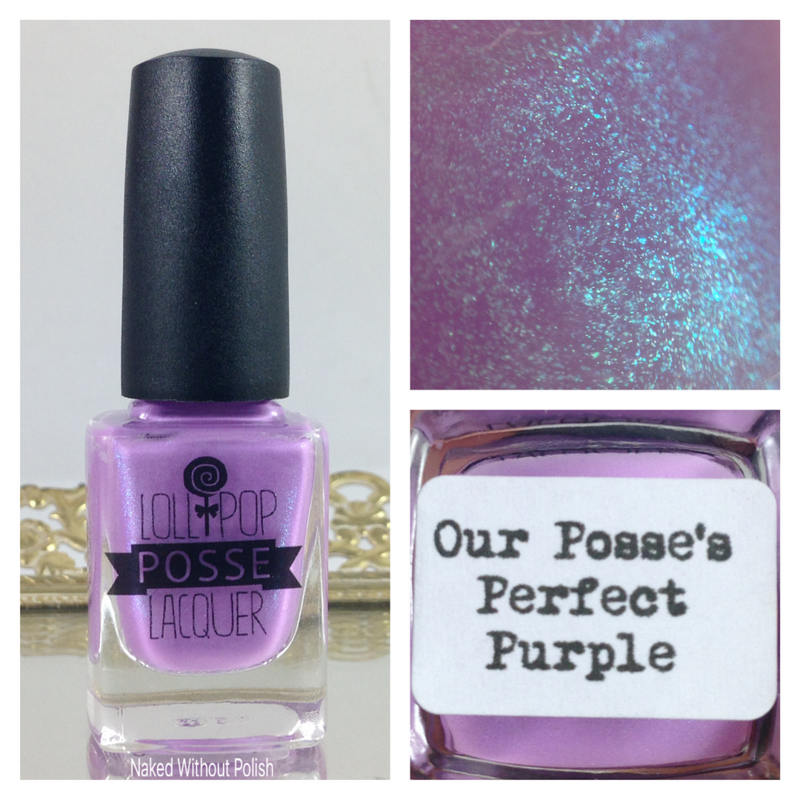 I've got a super special, limited edition polish from Lollipop Posse Lacquer to show you all today. If you frequent fan groups for brands on Facebook, you know that group customs are all the rage. This isn't just something you can go buy from the shop. 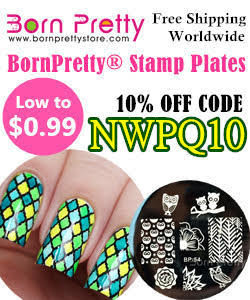 You must be a member of the groups to purchase the polishes. So check out this beauty, then I'll show you how to join the group so you can get one of these for your own! 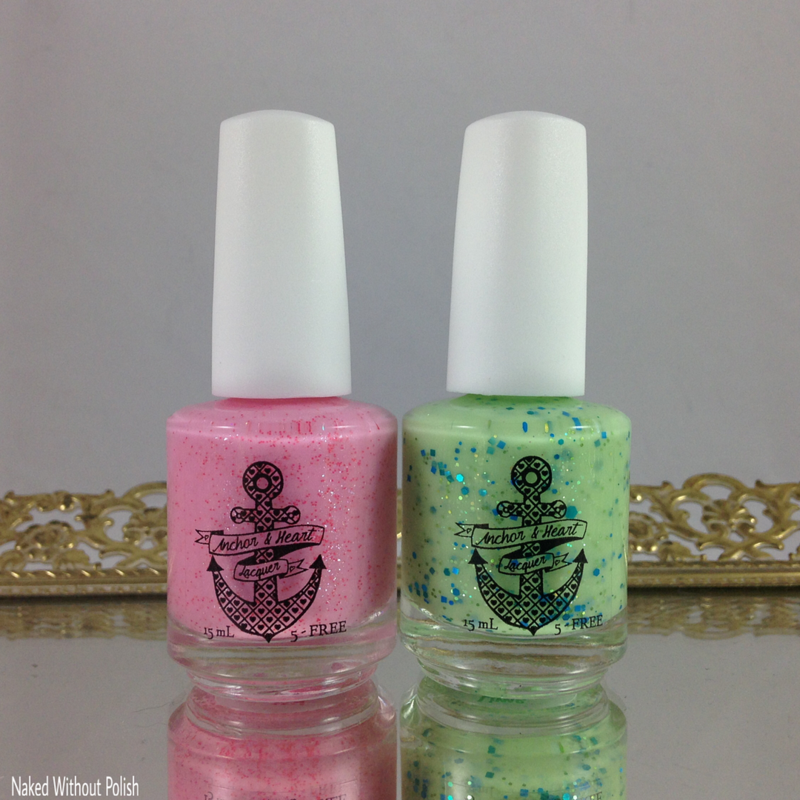 It's Thursday, and it is going to be a big day over at Anchor & Heart Lacquer! 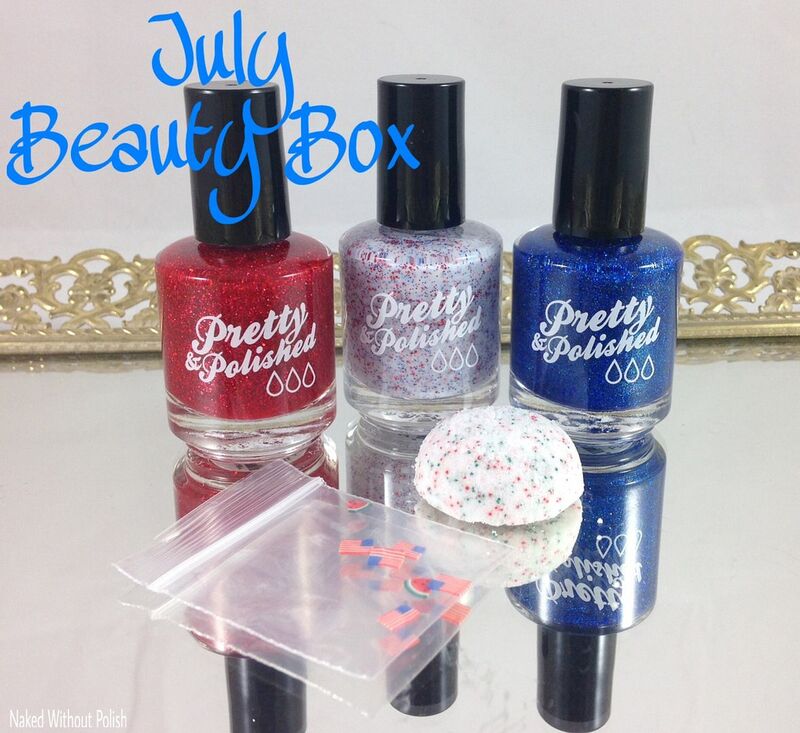 Not only is she releasing her June duo, aka Fan Favorite Duo, but she is also releasing two limited edition polishes. As well as, restocking some past favorites. Before all the craziness begins, I have swatches of the new polishes to show you all. Get your wish lists ready because they are about to get longer...by at least four bottles. It's already time for another G.N.O.M.E. Box!! The July 2016 box is all purple! I squealed when I unwrapped each one and saw they were all gorgeous deep purples. Yes, it's summer and you all are going neon and pastel crazy right now, but do you know how good deep purples go with those neon and pastel purples?! That's a great mani right there! The G.N.O.M.E. stands for Glitter Nerds Of Magical Existence. 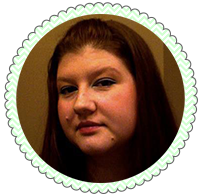 Every month Rica and Stardust Beauty pair with a guest maker to bring you the G.N.O.M.E. Box. The guest maker this month is Blue-Eyed Girl Lacquer. 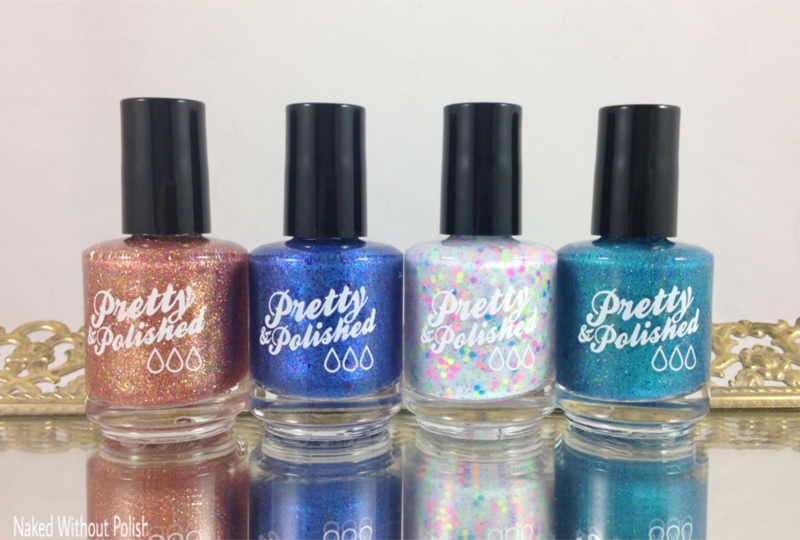 You all ready to see these beautiful bottles full of sparkle and flakies?! Calling all 80's babies and those who love rainbows!! The July Magic 8 Box theme is Rainbow Brite!!! I may have squealed a little when they told me the the theme a while back. I could not wait for this box to get to my house. I was that crazy person hitting refresh on my computer, just waiting for it to tell me the mail person had dropped it off. I barely had time to open my box when I got notice that one of the polishes needed to be replaced. I hid the polishes so I wouldn't be tempted to swatch them without the replacement. Issues were taken care of and the replacement arrived, and I think I may have put my kid to bed early that night so I could jump into these pretties. For those of you that don't know, the Magic 8 Box is a box that is released every other month with 8 full sized polishes. Each month has a different theme. 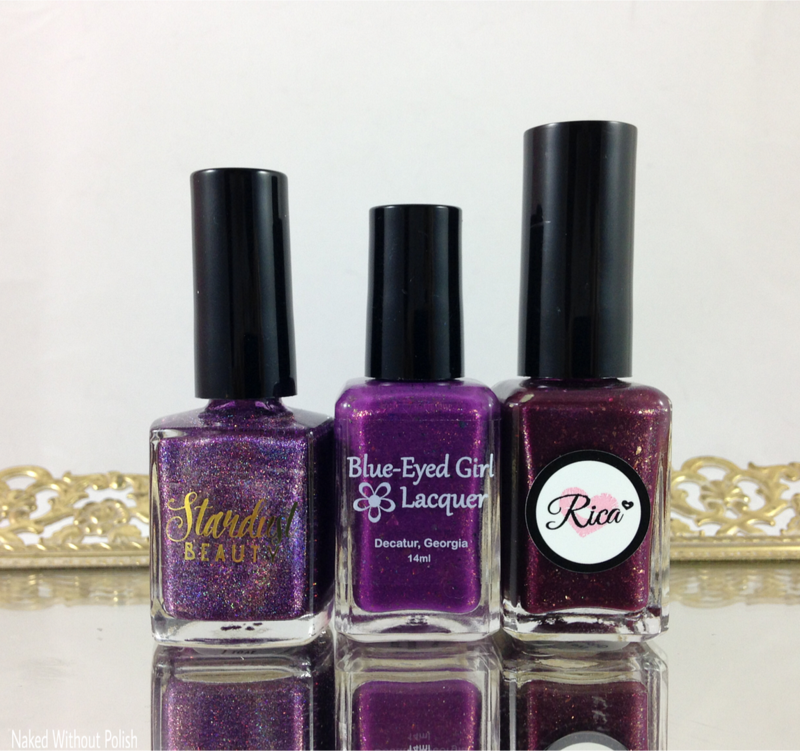 The four main brands that are in every box are Philly Loves Lacquer, Smokey Mountain Lacquers, Rica, and My Indie Polish. Then, each box will have four guest brands. The guest brands for the Rainbow Brite themed box are Contrary Polish, Dreamland lacquer, Poetry Cowgirl Nail Polish, and Candied Apple Polish. Okay, is that good enough? Can I show you the polishes now? You guys...Cameo Colours Lacquers is turning 4!!! Cameo always creates a beautiful limited edition polish to celebrate. This year's beauty is aptly named Gilded 4 Glory. I have had the wonderful pleasure of working with Cameo for the better part of her four years. I have to say it has been an absolute joy watching her brand blossom and grow. That said...here is the beauty she has created to celebrate her 4 years of growth and sparkle. 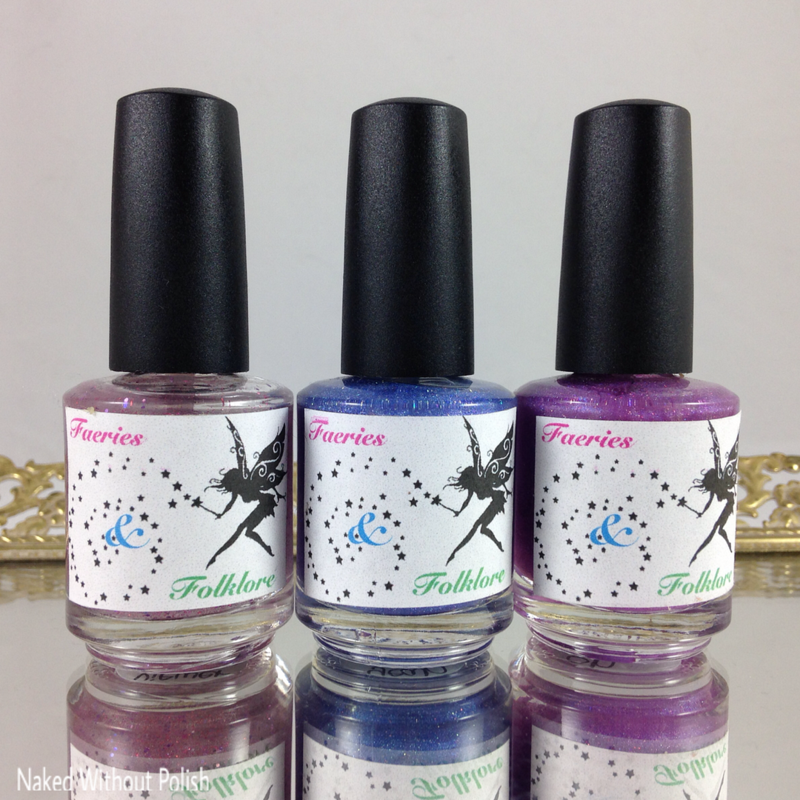 Faeries & Folklore Nail Polish is at it again. Personally, I think Molly went a little crazy. Not only is she releasing her Finding Nemo Collection Part 2 this Friday, but she is also releasing the limited edition Welcome to Faerieland Trio, which I am showing you today, AS WELL AS two limited edition polishes that will be the start of an on-going series called Let Me See Your Bling. Yes, all of that is being released in a couple days. On to what I'm showing you today...originally this was the Austin Powers Trio that I gave away in my blog's 4th anniversary giveaway back in March. After looking at it, she knew they had to be renamed...not Austin Powers polishes at all. 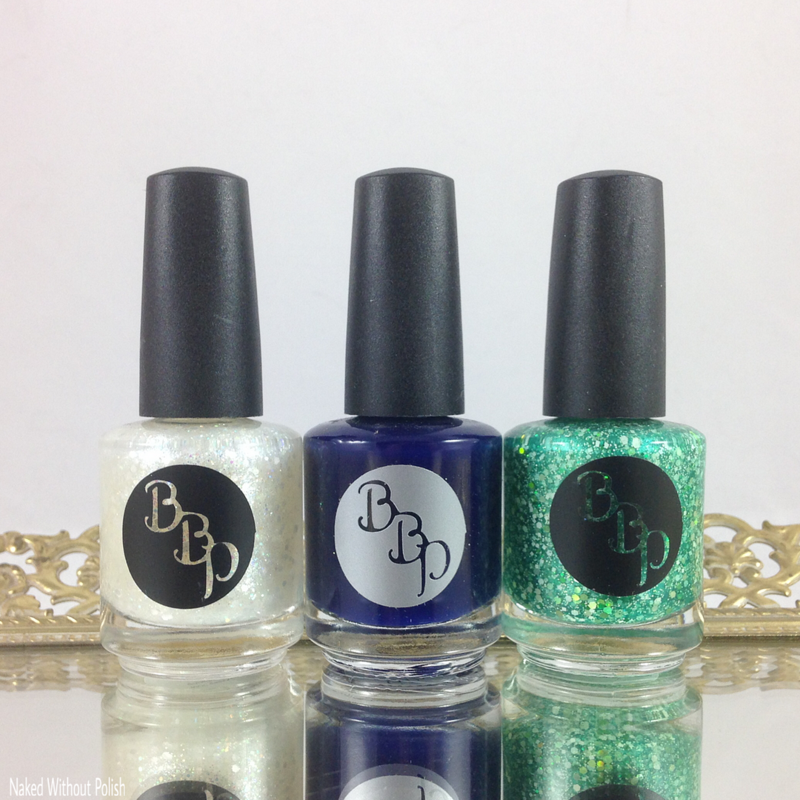 She drew inspiration from her brand name and got the Welcome to Faerieland Trio. It is much more appropriate! I showed swatches back then, but since they are now being released, I think I should do a full post on them. Let's get to it! Next up for the Nouveau Geek Box is a Star Trek theme. I was looking forward to this one because I'm not too familiar with Star Trek myself. I grew up in a Star Wars house. I'm not opposed to it, I just haven't gotten around to watching the series. (I've seen one of the new movies, but I know that doesn't quite count.) Well, even though I am not familiar with Star Trek, I was looking forward to seeing what this month's makers had in store for us. Instead of 4 to 5 polishes an some extras, we get 5 full sized bottles and one mini bottle (but it is on the larger side of minis). 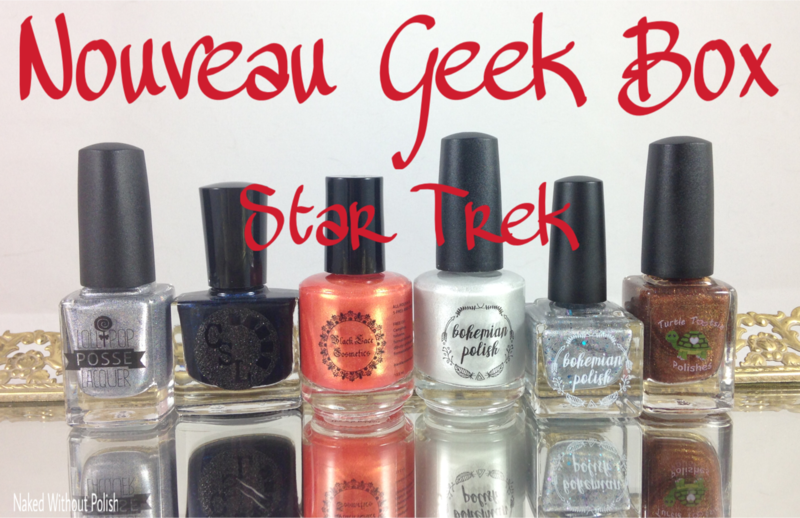 The makers chosen for the Star Trek themed Nouveau Geek Box are Bohemian Polish, Turtle Tootsie Polish, Cinema Swatch Lacquer, Lollipop Posse Lacquer, and Black Lace Cosmetics. The box will be available later today, so let's dive in!